Manchester United suffered yet another setback post the international break, as they dropped two points thanks to a boring 0-0 draw against Crystal Palace at Old Trafford. The Red Devils’ performance was mediocre at best, with Crystal Palace cleary the better side on the night, and more deserving of taking all 3 points from the encounter. The home side was literally booed off the pitch after the full-time whistle, as supporters had to endure an uneventful game that was quite capable of putting the Theatre of Dreams off to sleep. Only one Manchester United player managed to put in a decent shift on the night, and he was rightly praised by fans and the manager alike after the game. 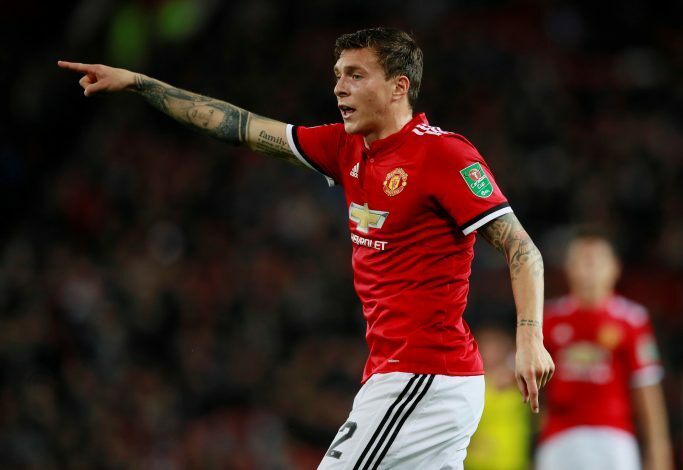 Victor Lindelof, who has developed into his side’s first-choice centre-back this season, did his job quite well against the Eagles, by defending expertly and helping David De Gea maintain a clean sheet. In fact, in the final minutes of the game, the Swede even picked up a muscle injury. But despite his evident struggles, Lindelof powered on, playing through his issue until full-time. Jose Mourinho was quick to show his appreciation for the 24-year-old’s commitment, as he went onto the pitch and hugged Lindelof after referee sounded the final whistle. During his post-match interview, the Portuguese also confirmed that the defender had picked up an injury, as he revealed: “Lindelof injured? I believe so.